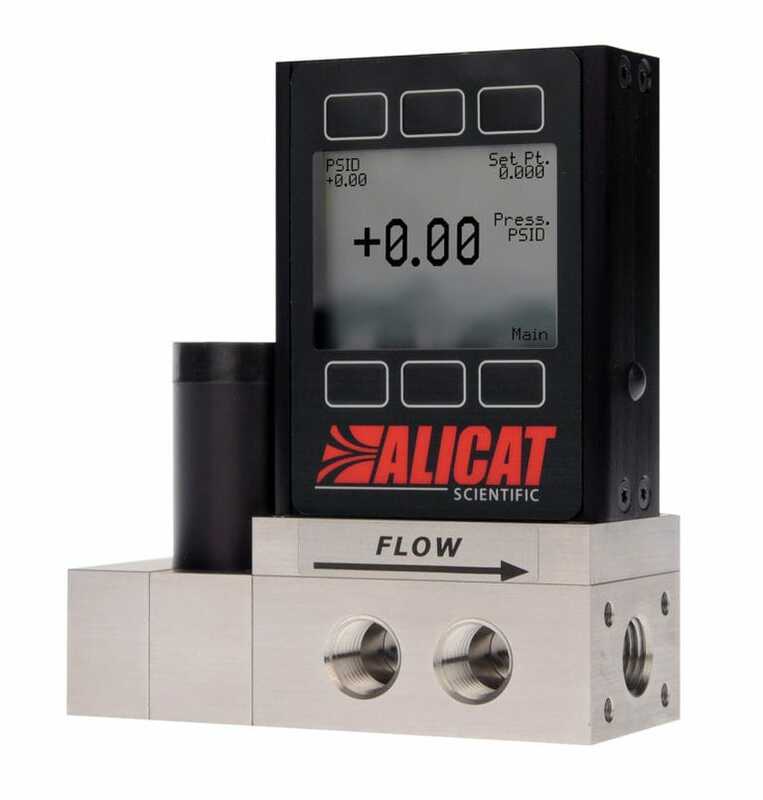 Dual-valve pressure controllers from Alicat eliminate the need for a bleed valve for pressure control in closed or dead-ended volumes. 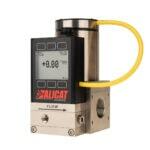 They are available with internal pressure sensors or remote sensors that can be plumbed to any point in your process. 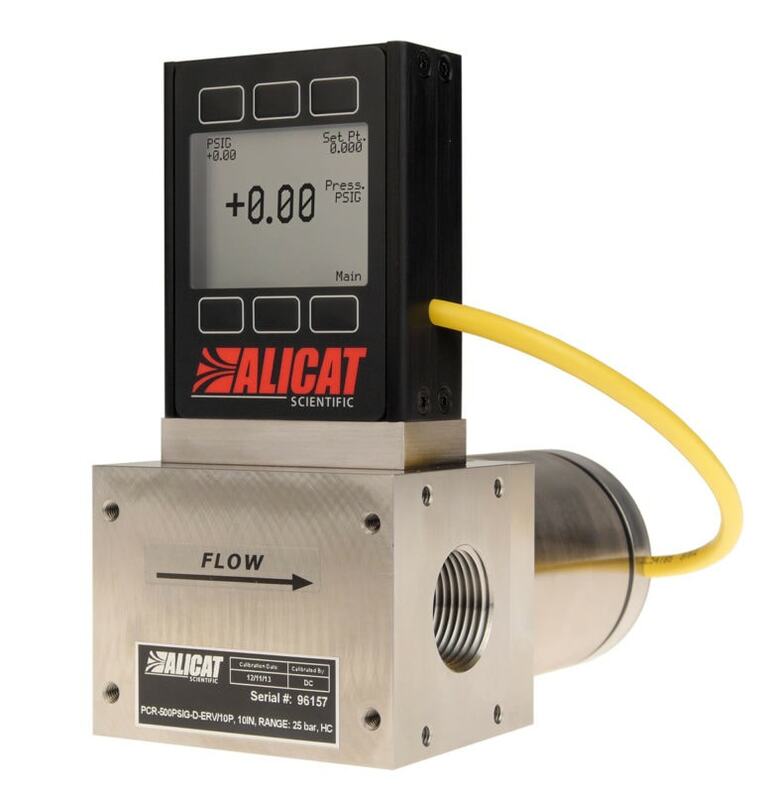 PCD-series absolute or gauge pressure controllers contain pressure sensors that are referenced to vacuum (absolute) or to local barometric pressure (gauge). 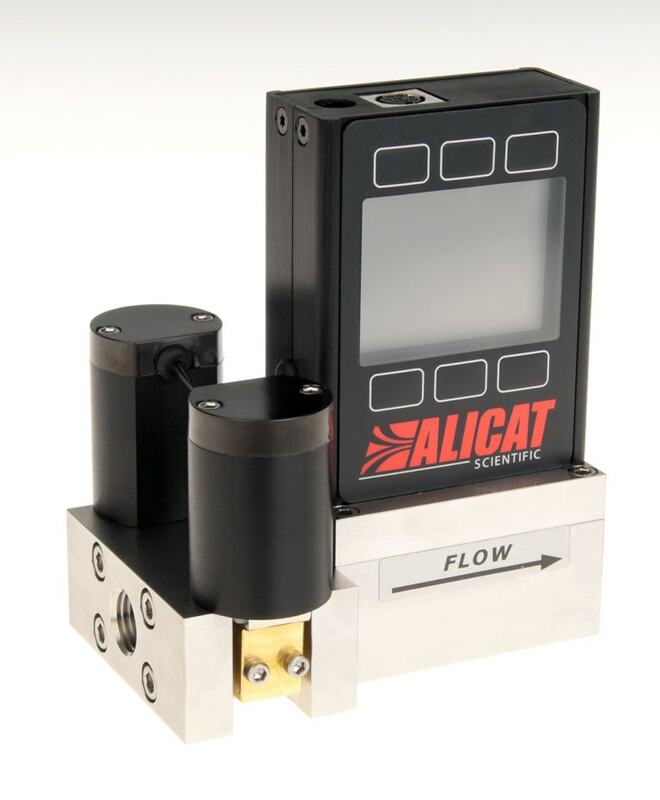 In addition to inlet and outlet ports, a third process port connects the sensor to your closed volume. 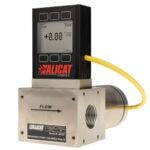 PCD3-series absolute or gauge pressure controllers have flow paths that are isolated from their pressure sensors. 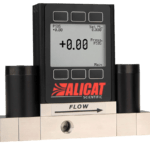 In addition to the process port, an external pressure sense port can be plumbed to measure pressure directly from any point in your closed system. 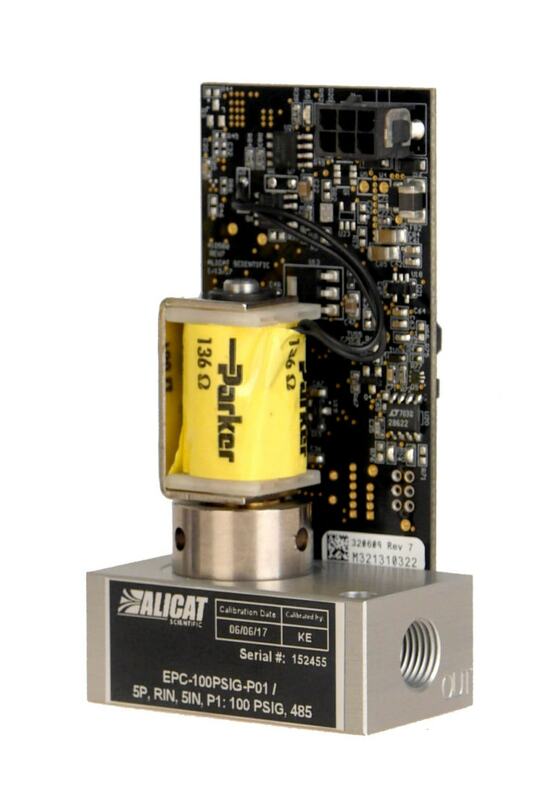 The EPCD series compacts our dual-valve PCD series absolute or gauge pressure controller into a bare-bones form factor that is ideal for OEM applications and large-quantity orders. 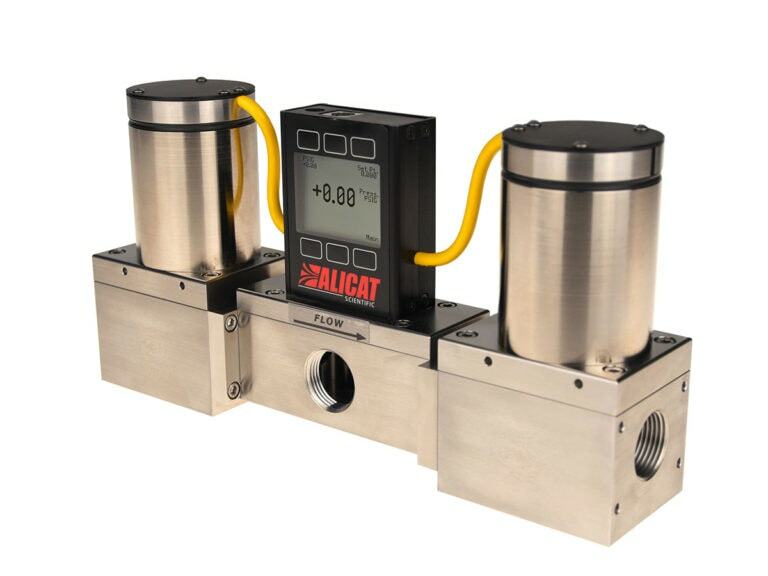 PCD-series differential pressure controllers maintain a constant pressure differential between their two measurement ports. 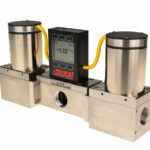 Like the PCD3 above, each of the two pressure measurement ports of the differential pressure controller can be plumbed to any point in your process. 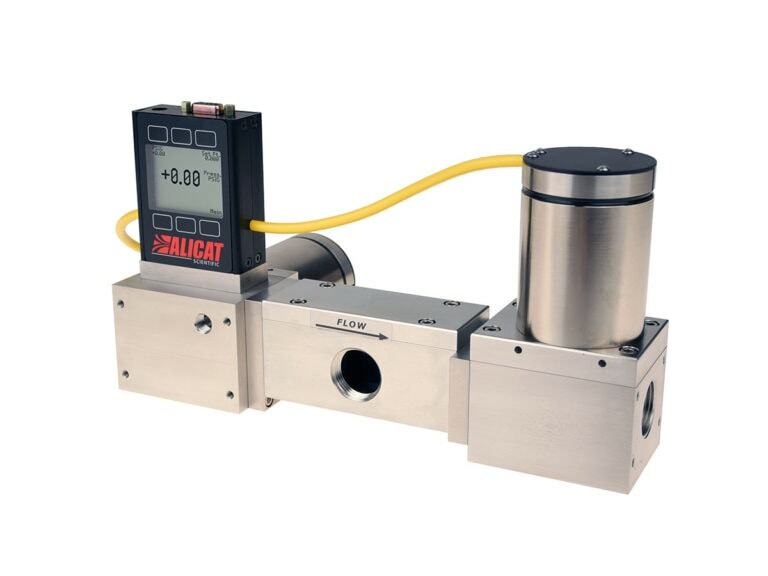 Control the pressure in the head space above the liquid to be dispensed with minimal waste of process gases. Accurately monitor and control the pressure in a closed volume, even when flow rates are high. 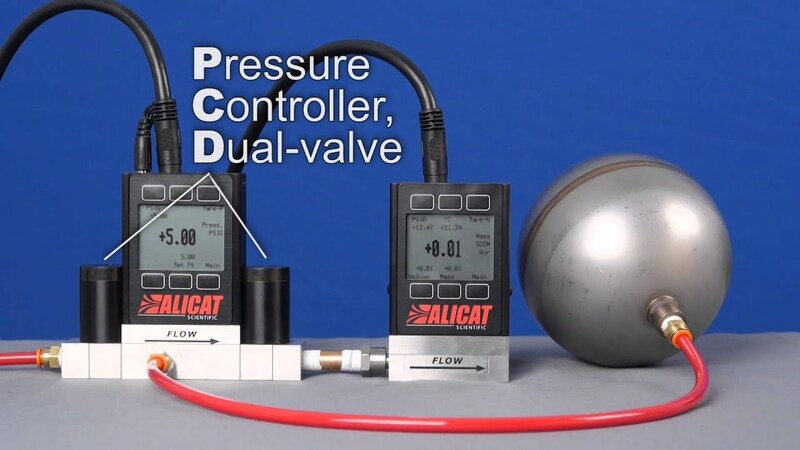 Cycle through several pressure differentials that are referenced to the simulated Martian atmosphere instead of Earth’s own atmospheric pressure. 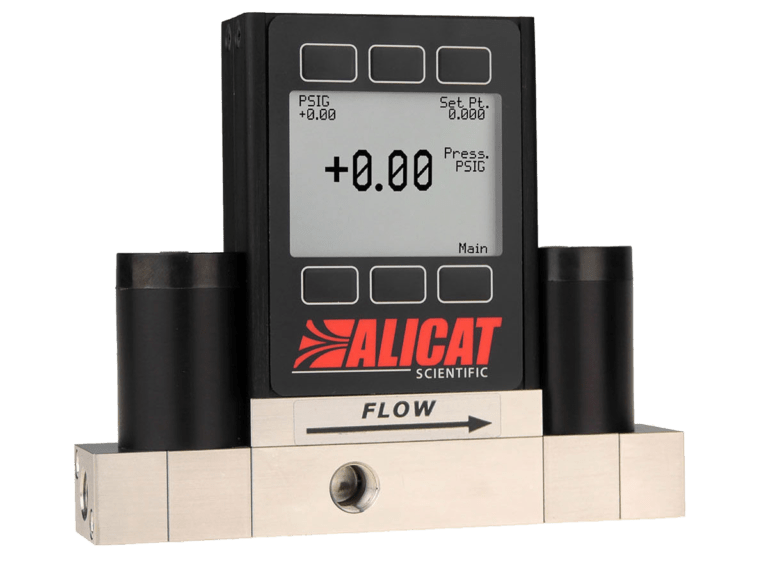 High accuracy and wide usable ranges make possible the dispensing of precise amounts of fluid with your OEM instrument. 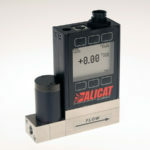 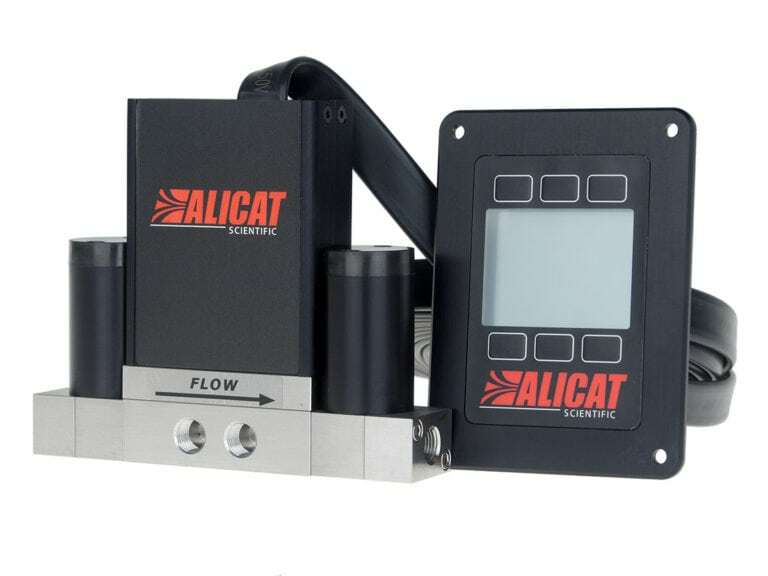 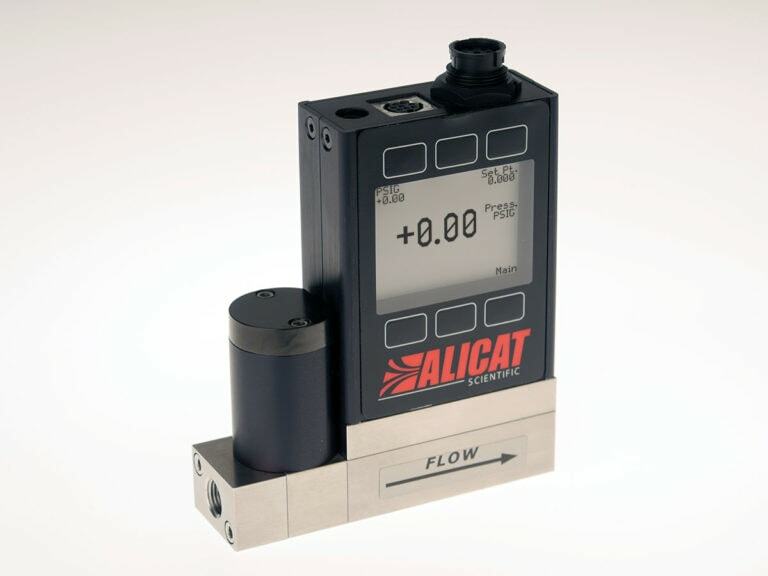 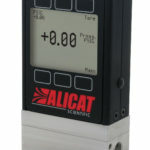 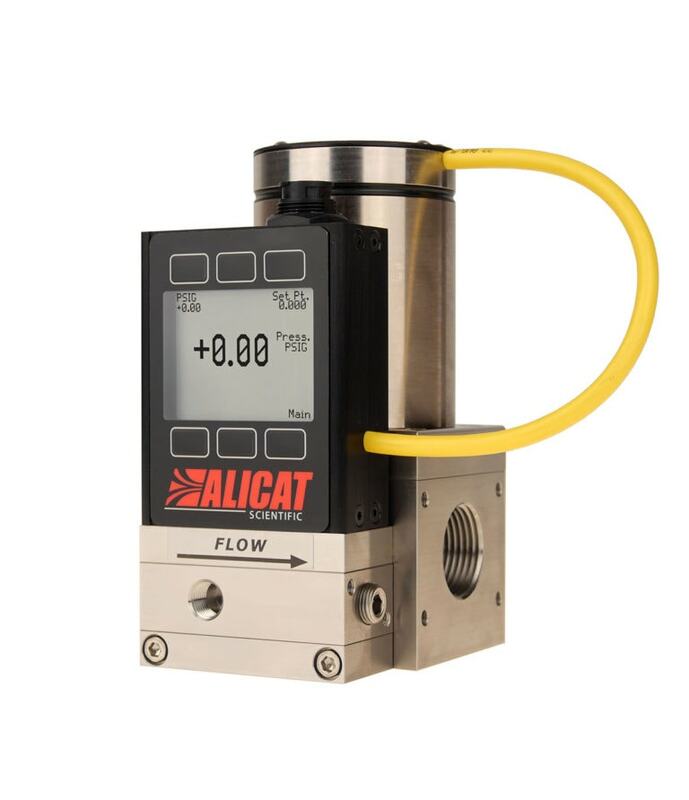 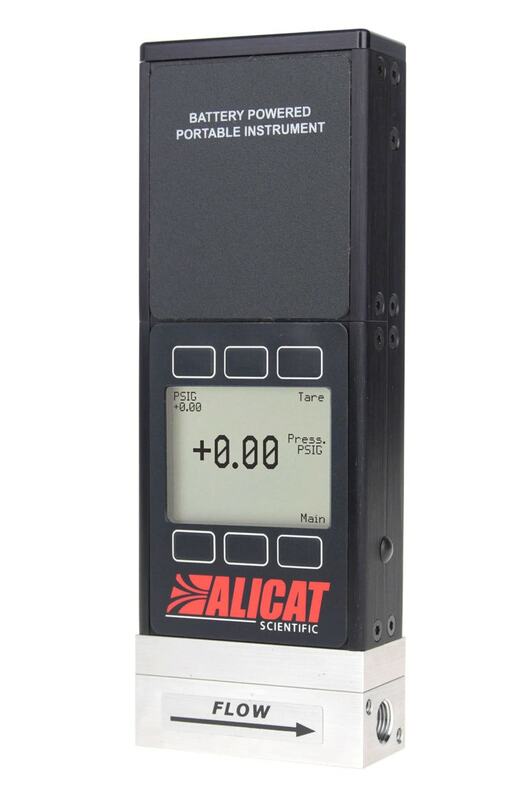 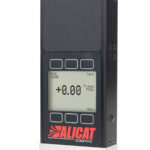 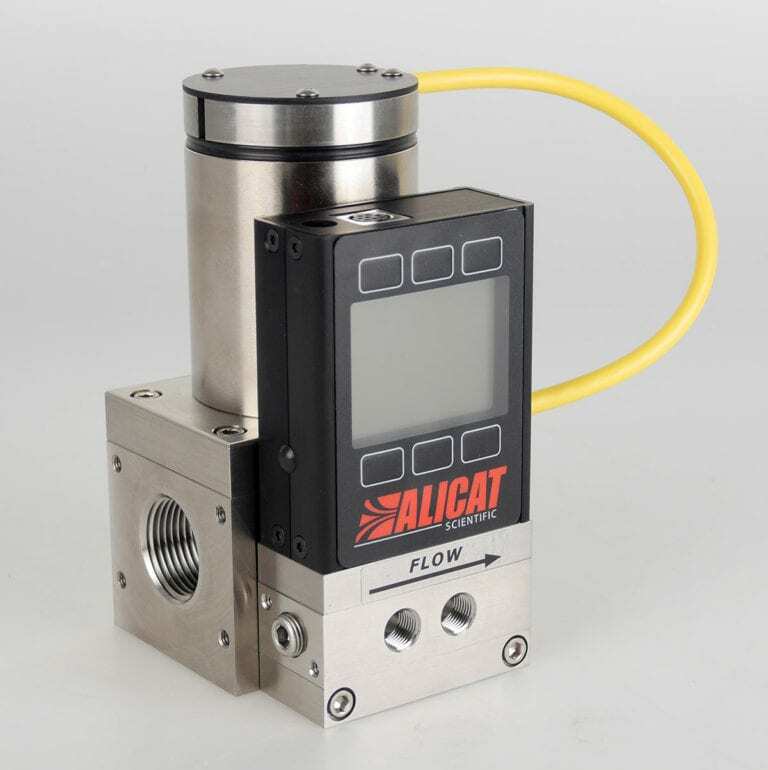 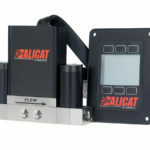 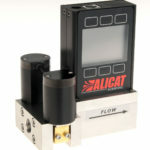 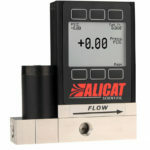 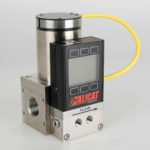 Digital pressure transducers from Alicat provide real-time measurements of absolute, gauge or differential pressure. 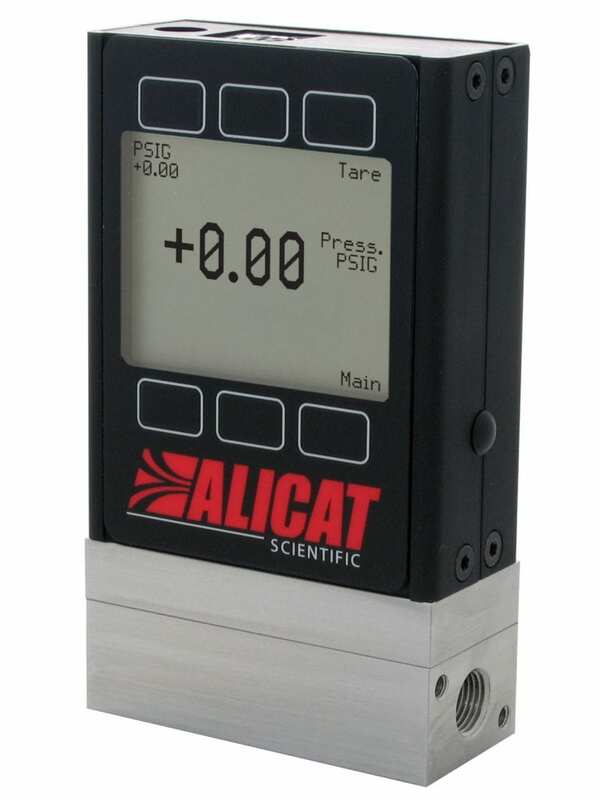 P-series absolute or gauge pressure transducers reference pressure to vacuum (absolute) or to local barometric pressure (gauge). 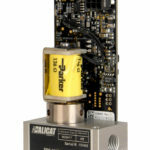 PB-series absolute or gauge pressure transducers add a rechargeable battery to make your pressure transducer easily portable. 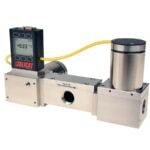 P-series differential pressure transducers display the pressure difference between the two measurement points. 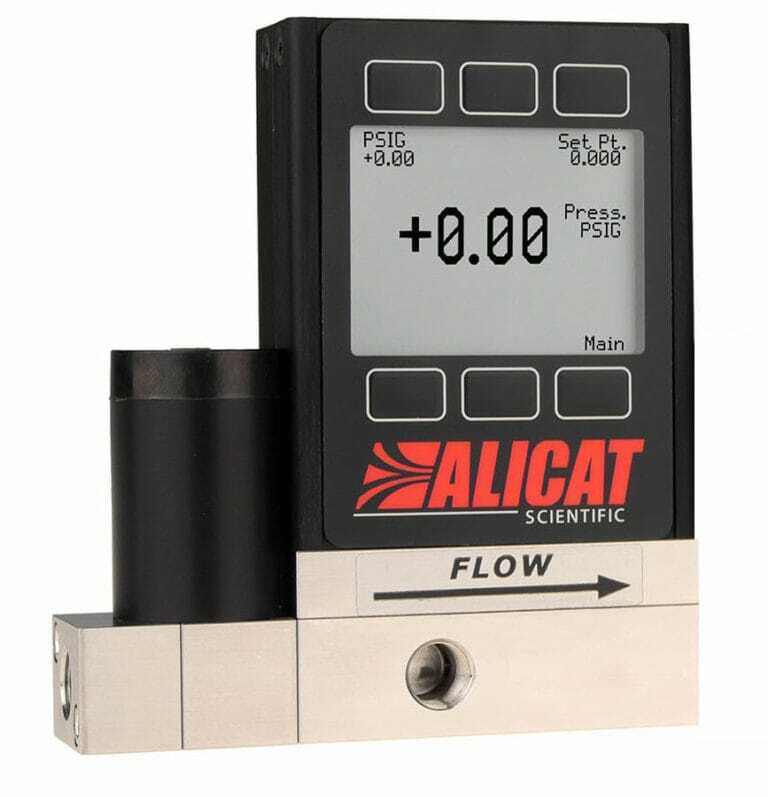 If you leave the downstream port open to atmosphere, the differential pressure readings become equivalent to gauge pressure readings. 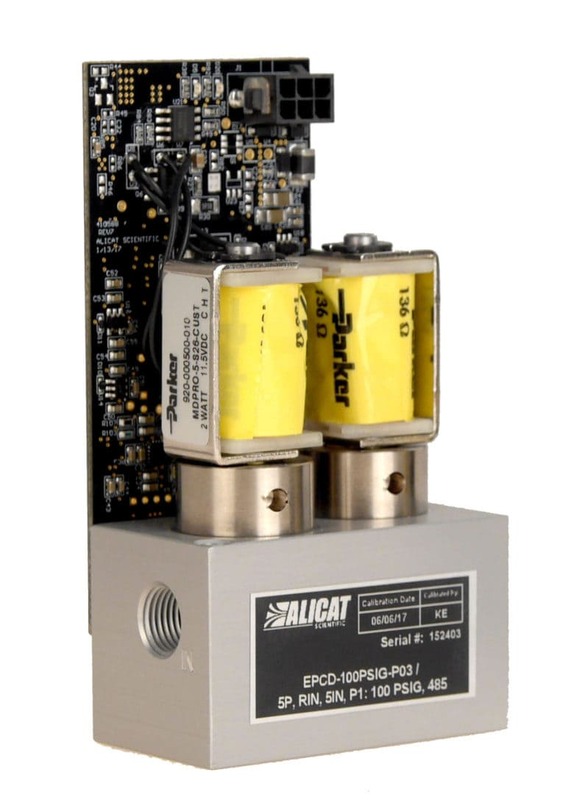 The PB-series differential pressure transducers feature an integrated rechargeable battery.